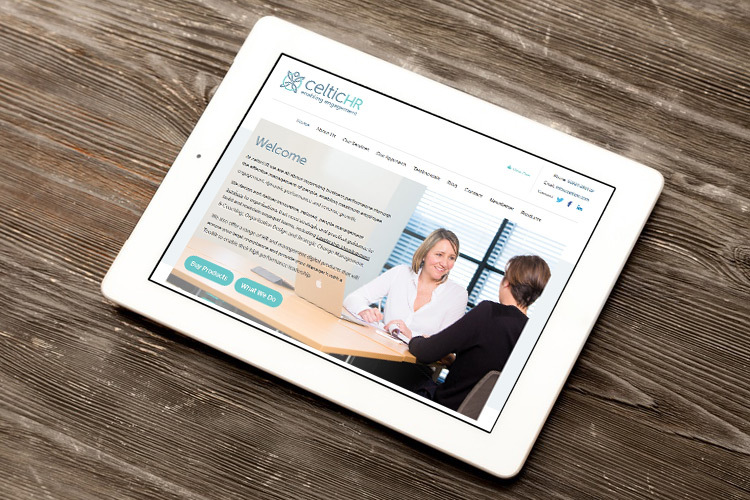 Celtic HR is an independent consultancy owned by the highly experienced Hayley Hughes. Hayley had a website offering but was aware that it was not as polished as it should be. She was also aware that potential clients were validating her business via her website and that their experience could be tipped in her favour by a more polished, and effective website presence. We used our tried and trusted process to help plan, and create an online presence designed specifically to the needs of her target audience, clearly presenting her key products & services. Website visitors are impatient and it is vitally important that key messaging is conveyed as quickly, and cleaning as possible. In addition to promoting her consultancy services, Hayley also offers downloadable, digital products – allowing her audience to buy off-the-shelf packages. We helped with all e-commerce aspects including navigating the complex path of allowing the website to accept credit cards. The website was based on a highly customised version of the WordPress publishing platform plus extensions to handle the e-commerce aspects. The design is responsive and works across smartphones and tablets. The website has been built with Google & SEO in mind. Within weeks of launch, the website had organically attracted a lucrative client from further afield. Please click here to visit the Celtic HR website. If you would like to discuss how your website can be improved, or how you can offer downloadable, digital products, please contact us today.